Congratulations on five years of outstanding offerings and service to ocean liner collectors world wide. With your accurate and detailed descriptions to the archival photos your web sight is without compare! Keep up the great work as I look forward to your incredible dedication and service. 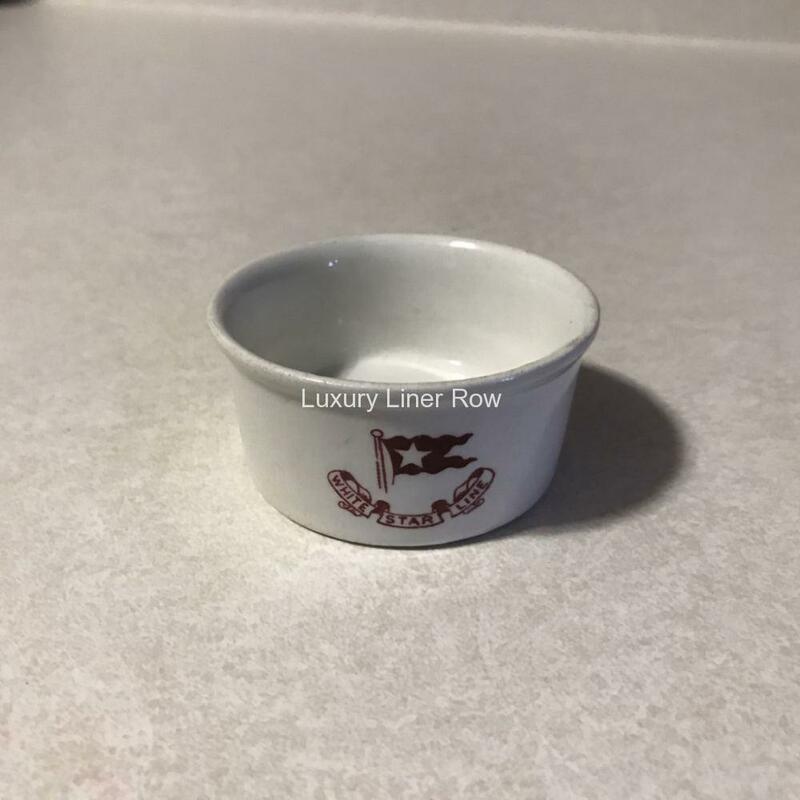 Very rare third-class salt dish from the pattern used on Olympic and Titanic. 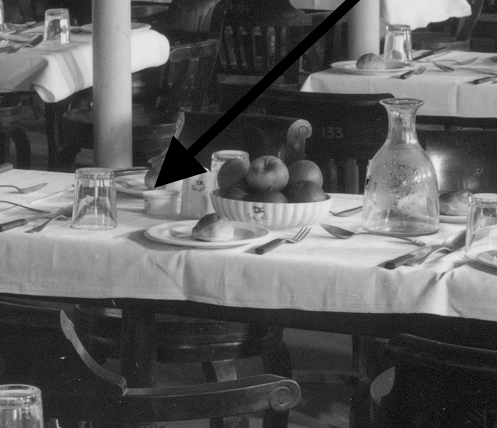 For obvious reasons, very little specialty china was produced or used in third class. 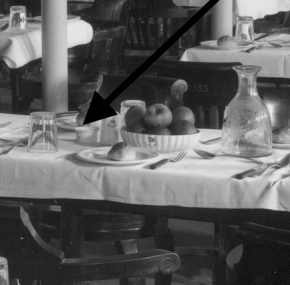 It was mostly bowls, dishes, and cups and saucers. There are a precious few exceptions, this happily being one. In excellent condition with nice makers markings. 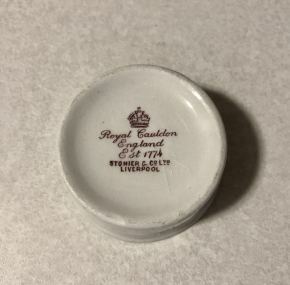 Measures 2.5″ across.